You're all set! 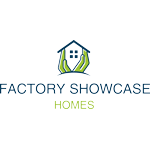 Confirm you want deals for Factory Showcase Homes LLC in -zip-? Come in today and take a tour of our full line RV Park Model homes that are built using advanced technology and design principles that are skillfully combined to produce high quality yet affordable homes.We specializes in all aspects of the mobile home, manufactured home, and park model home industries.